Have you inherited a computer with the date in the wrong format? 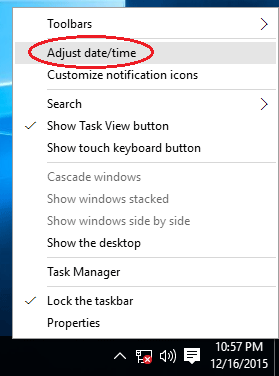 How can I change the date & time format displayed in Windows 10 taskbar? 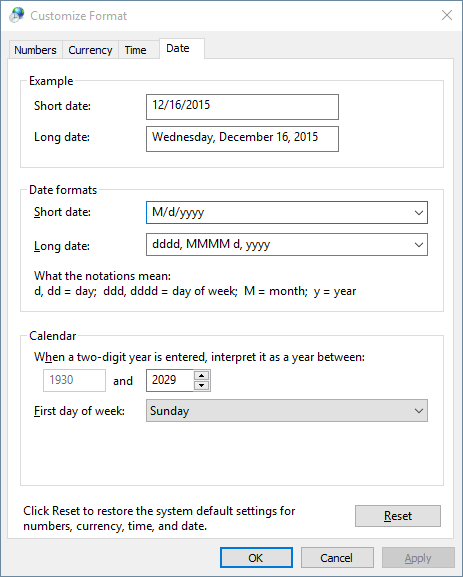 Depending on your personal needs, you may wish that Windows displays the full date instead of the short date format. 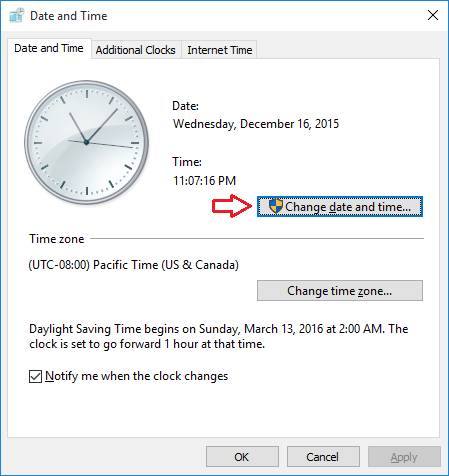 In this tutorial we’ll show you 2 methods to change date & time format in Windows 10, customize the format to match your specific needs. To get started, right-click the bottom-right corner of the screen where the time and date are displayed in the system tray. After that select Adjust date/time. 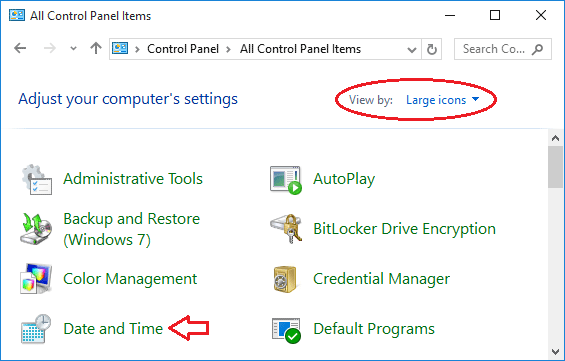 It will open the PC Settings charm that displays the pre-defined date/time formats. Click the drop-down button and select the date/time format you want. 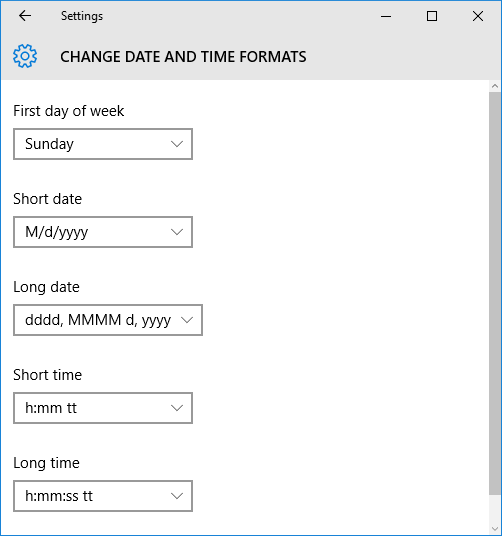 If your format is not included in the drop-down list, you have to use the method below to customize the date/time format through Control Panel. Press the Windows key + X and you’ll be presented within the Quick Access window. Click Control Panel. When the Control Panel opens, set the View by option to Large icon. Click Date and Time. The Date and Time box should open. Click on the “Change date and time…” button. 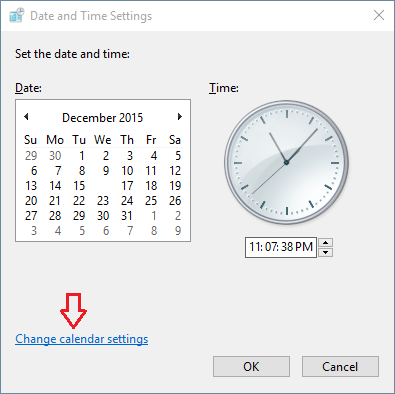 After the Date and Time settings window opens, click on the “Change calendar settings” link. Now you can see the pre-defined date formats. Click the drop-down button and check whether the format you wish to change is available or not. If it is not included in the drop down list, you can customize the format by entering required date format (for example, DD-MM-YYYY). Make sure that you are entering in a right format with proper notations. You can find the meaning of notations below the date format. Click on Apply and save your settings. Now you can see the date/time on your taskbar at the bottom-right corner in your own desired format.